F2 Kansas City / Hey-Hey-Hey-Hey! Licensed To – De Agostini Publishing S.p.A. Published By – Marquis Music Ltd. Published By – MPL Communications Ltd. Published By – Knox Music Ltd. Published By – Windswept Music (London) Ltd. Published By – Mother Bertha Music Ltd. Published By – Ambassador Music Ltd. Published By – Songfest Music Corp. Published By – Hawkes & Son Ltd. Published By – Acuff Rose Music Ltd. Published By – Peter Maurice Music Co. Ltd. This release is the 16th of the UK collection "The Beatles Vinyl Collection", published by De Agostini. It contains an 8-page booklet. IMPORTANT: Please pay within 24 hours of receiving your invoice, or contact me if you want to defer payment for any reason. All records dispatched in a strong Defendapack record mailer. Prices below are based on up to 2Kg weight (UK) and 500g (EU, Rest of World). Items heavier than this may cost slightly more to post. Buyer pays postage and packing. I can combine shipping for multiple items, often this means that shipping is MUCH cheaper! Please enquire. Prices below are for single LPs. Prices may be a little higher for double LPs. For 7 inch singles and CDs, see the end (below). Items under £20, first item £3.50 (second class) - subsequent items (up to six LPs / 2 KG in total) no additional charge. Over six items, an additional £1.00 per item. Items between £20 and £39.99, first item £4.50 (signed for) - subsequent items, an additional £1.00 each. Items £40 and over, £8.00 per item (tracked and signed). Please let me know when you order if you would prefer a different postage method (1st class, tracked, etc) so that I can invoice you with the correct amount. Items under £20, weight UNDER 500g: first item £7.00 (international standard), subsequent items, additional £3.00. Items under £20, weight OVER 500g: first item £8.00 (international standard), subsequent items, additional £3.00. Items over £20, weight under 500g: first item £11.00 (tracked and signed) - subsequent items, additional £4.00. Items over £20, weight over 500g: first item £12.50 (tracked and signed) - subsequent items, additional £4.00. Items under £20, first item £9.30, subsequent items, additional £4.70. Items over £20, first item £13.60 (tracked and signed) - subsequent items, additional £4.70. NOTE: for items over 500g, prices may be slightly higher. Rest of World: Items under £20, first item £10.25, subsequent items, additional £4.50. Items over £20, first item £13.00 (tracked and signed), subsequent items additional £5.00 each. International: Varies, but usually between £4 and £6 depending on weight and value. Please enquire. There are a few faint, wispy marks on the records (caused by removal from the paper sleeves), which do not affect play. No magazine or packaging. 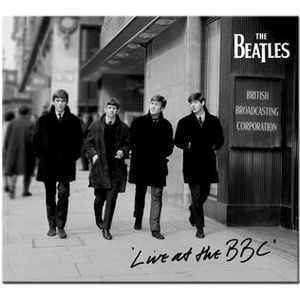 Lots more DeAgostini Beatles reissues in my store!